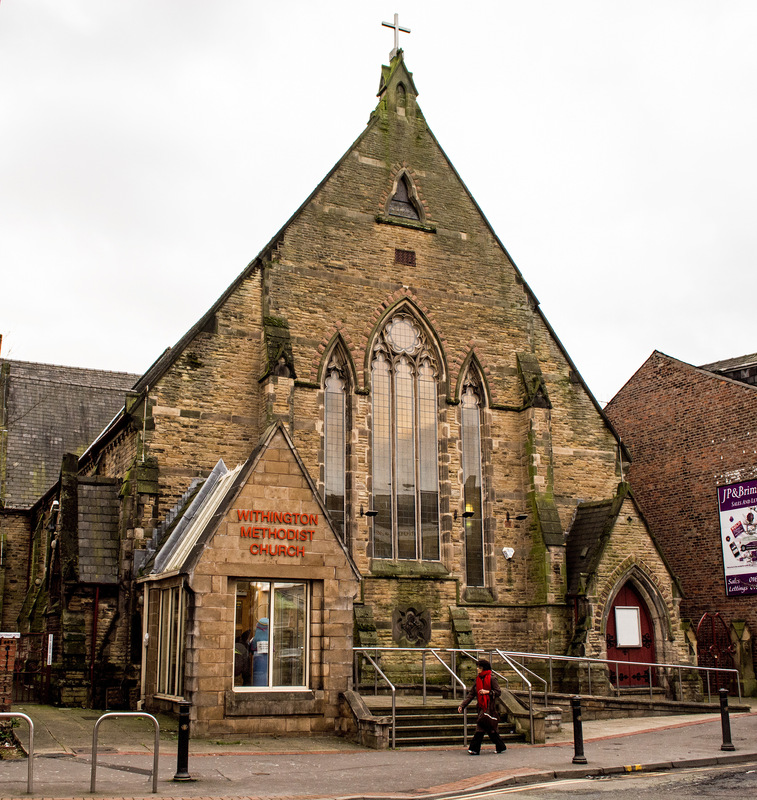 The church attendance had declined and the original church and church hall were too costly to maintain. The church sold a long lease to the local Health Authority to incorporate alocal health centre in part of a renovated ground floor level. Rent for the full-term of the lease was paid in advance and funded most of the cost of the whole repordering and renovation. A new first floor is inserted to raise the Worship Space up into the vaults of the transcept, and for meeting rooms. 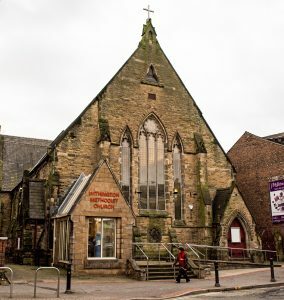 On the ground floor, apart from the health centre, is a new reception room/office, cafe and more meeting rooms / offices for the community work of the church. The whole external envelope was renovated. The adjoining church hall is demolished to provide a new car park; there was only on-street parking before. My role as project architect for Byrom Clark Roberts led the project from detailed to design to completion. 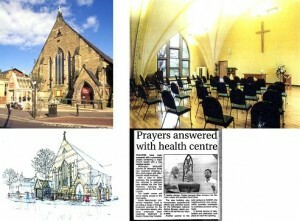 The project regenerates the life of the church. The Worship Space is popular and its acoustics are great for speech and music. The space is in demand for a variety of uses during the week and provides additional income. The cafe is popular as a local meeting place. It is wheelchair accessible, directly off a busy thoroughfare. Full disabled-persons facilities, including a lift, are incorporated.